At Castlegate Financial Management, we make it our mission to preserve and grow our clients’ wealth, and give them the best strategies to achieve their financial goals. Naturally, therefore, the subject of financial scams is of particular concern to us as we offer advice across Lincolnshire. Unfortunately, they still occur and in many ways, scamming strategies are more sophisticated than they have been in the past. Particularly due to rapid advances in technology. It’s vital that you prepare and protect yourself from malicious individuals and parties. Your savings, assets and investments are immensely valuable, and it would be a tremendous blow to suffer a loss in these areas due to poor planning or neglect. In this article, we’re going to outline 4 scams or strategies that people have used to scam unfortunate individuals out of their pensions. We’ll show you ways to protect yourself, and then conclude with an important note on the recent ban on pension cold calling – and how scammers are getting around it. Fraudsters love to use this strategy. Out of the blue, you get a phone call, posted note or email about your pension. The person behind the contact pretends to be a legitimate company looking out for your interests. Except they are not. Sometimes, these companies or individuals have illegally attain individuals’ personal data from another company, in order to establish contact. In other instances, people in Lincolnshire part with their data for free, often unwittingly (e.g. on social media). The company or individual then gets hold of your details and contacts you. As established, regulated Independent Financial Advisers (IFA) in Lincolnshire, Castlegate Financial Management and other legitimate IFAs will never contact you like this. If someone gets in touch with you out of the blue about your pension, and you don’t recognise them, do not give out any information. If they claim to be contacting you on behalf of your IFA, then speak to your financial adviser in person about the fact that you were contacted by this person. We’ve all heard the wise rule: “If it sounds too good to be true, it probably is”. When it comes to financial affairs and pensions, this is almost always the case. You can certainly devise a solid, worthwhile financial or pension plan with the help of a decent financial adviser. Yet inevitably there will be trade-offs, risks and hurdles to overcome and take into account when devising and implementing your strategy. Therefore, if someone contacts you about a financial or pension opportunity, and offers a guaranteed return, be on your guard. 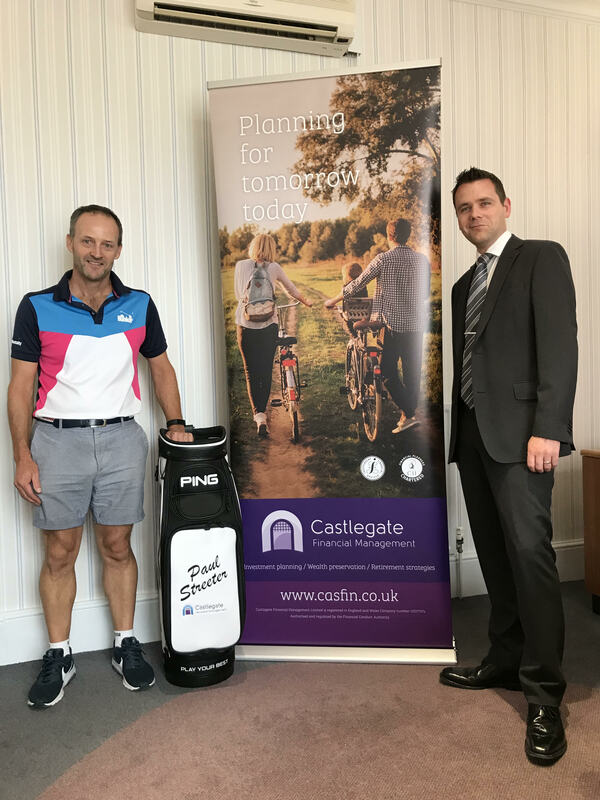 Nobody – not even our experienced, highly-qualified financial advisers here at Castlegate in Lincoln – can guarantee outcomes like this. The fact is, pensions, investments and markets all move with the winds of political, economic and social change. No one can predict the future, so be wary of anyone claiming they can by offering you a guaranteed return. Almost always, these are false promises. Also be careful if someone offers a high return in a short space of time. Most financial advisers will recommend that you spread your investment risk across different types of asset classes and types. They will advise against putting all your money in one basket, especially if that basket carries a high level of risk (high-return investment opportunities tend to be this way). If you read the FCA’s ScamSmart website, you’ll find a long list of strange, outlandish investment opportunities which are often used to scam people out of their money. Overseas property, diamonds, binary options, gold, bamboo… You get the idea. One sad story here involved a man investing £35,000 in gold, only to find out it was a scam. Be very careful. If someone contacts you about an investment opportunity in something exotic-sounding, then be on your guard. Many of these investments (e.g. the price of bamboo) are highly volatile, and often will be unregulated – meaning you have fewer protections if your investment goes wrong. As established independent financial advisers in Lincolnshire, we can confidently tell you that anyone getting in touch with you about a single, strange investment like this should be immediately suspect. Naturally, if you encounter anything like this we would recommend speaking to one of our experienced financial advisers in Lincoln, who will be able to offer protective guidance. If you search “access to pension before 55” on Google, you will see tens of millions of search results returned to you. If someone therefore contacts you and claims to be able to help you access your pension before 55, they are almost certainly lying. They might say they are able to get around the punitive, aforementioned charges through a little-known loophole. This does not exist. You can only withdraw your pension prior to 55 if you are no longer able to work due to ill / poor health. In this case, you should initial contact with a qualified financial adviser to discuss your options. Do not speak to someone about this if they contact you out of the blue. Cold calling is still widely recognised as the most common method of communication used by fraudsters to scam people out of their pension money. Last week, the government finally concluded its consultation on the proposed ban on pension cold calling. We view this proposed ban as a positive step in the right direction to help protect people’s hard-earned finances and pension funds. At present, however, the ban in its current form does not extend to other forms of communication used by fraudsters, such as junk letters, social media, post and email. Be careful, therefore, simply to be on your guard when contacted via phone. Be aware that scammers can use a wide range of media and communication tools to try and scam you. As always, if you would like to speak to one of Castlegate’s experienced advisers in Lincolnshire about this subject, we are at hand to help. Please get in touch, especially if you are worried about a recent conversation you might have had with someone you did not know, who contacted you unexpectedly about your financial affairs or pension.